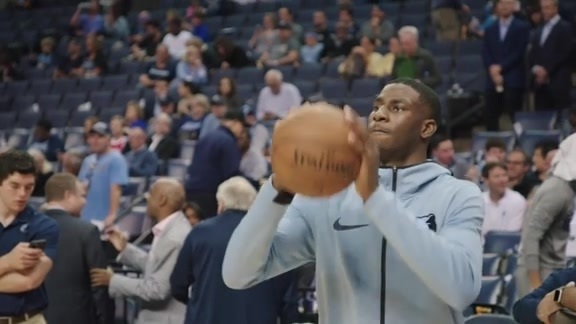 Take a closer look at key moments from the Grizzlies win against the Phoenix Suns Saturday night. 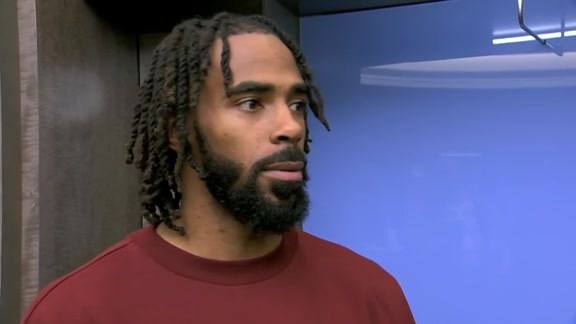 Conley talks to the media about the benefits of multiple ball handlers on the team, says he feels less pressure and also speaks on the boosted bench play tonight against the Suns. 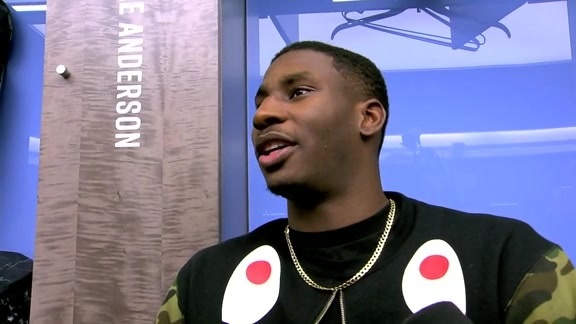 Rookie Jaren Jackson Jr. addresses the media following his first matchup against Deandre Ayton and the Suns. Temple speaks on the importance of a balanced scoring effort from the Grizzlies tonight with 5 different players scoring in double figures. 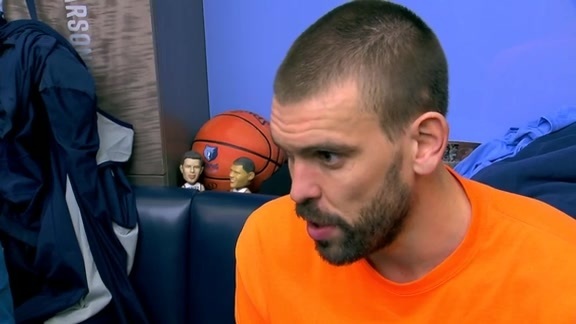 Marc Gasol talks to the media about the Grizzlies bounce back win against the Suns Saturday night. 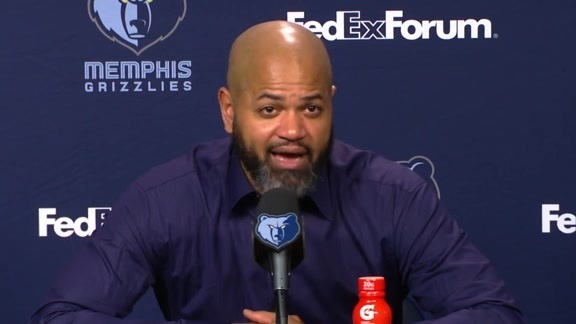 Grizzlies Coach J.B. Bickerstaff addresses the media after the Grizzlies 117-96 win against the Suns. 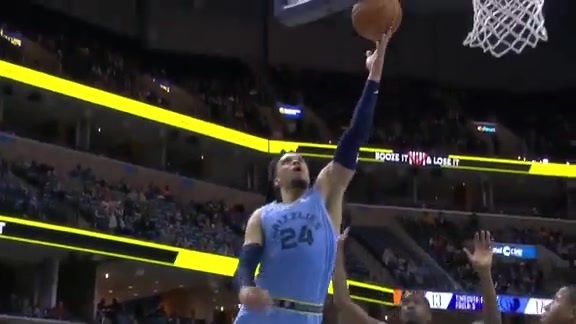 Take a look at the Grizzlies highlights from their match against the Phoenix Suns Saturday night at FedExForum. 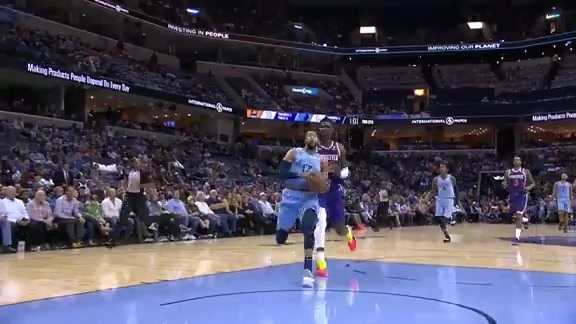 Take a look at Marc Gasol's highlights as he scored a team-high 19 points to lead the Grizzlies to their second home victory of the season. 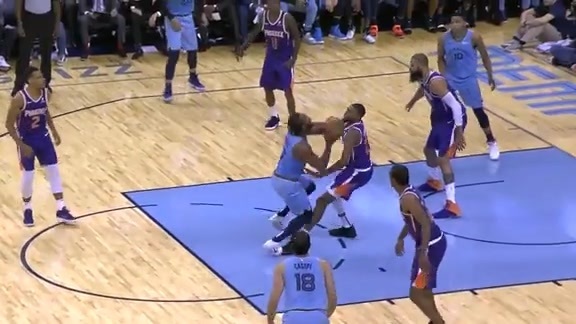 Mike Conley's hesitation move freezes the Suns defender and scores at the rim. Temple races down the floor for the fast break bucket. 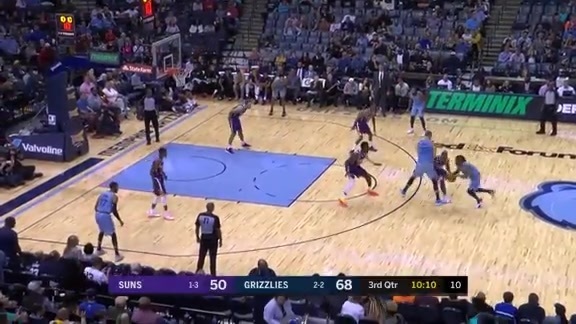 Grizzlies Wayne Selden lowers his shoulder and gets the tough basket to drop for a chance at a three-point play. Dillon Brooks gets the quick step on his defender and finishes at the rim. 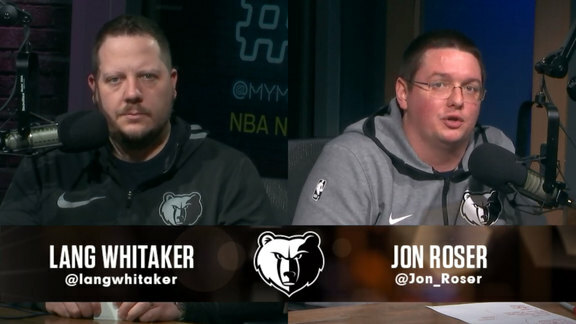 MikeCheck Minute previews tonight's matchup against the Phoenix Suns at FedExForum. Memphis scored 29 points off of 19 Suns turnovers, while Phoenix had 12 points off of 12 Grizzlies turnovers. Memphis went on a 20-3 run in a 5:12 stretch over the first and second quarters, leading by as much as 24 in the first half. 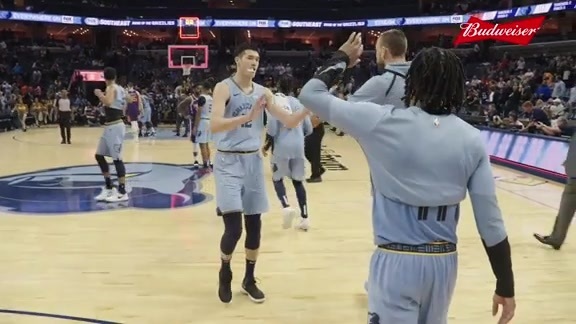 The Memphis Grizzlies topped the Phoenix Suns 117-96 on Saturday night at FedExForum, moving to 3-2 overall on the regular season and 2-0 at home. The Grizzlies showed good ball movement offensively, shooting 12-for-22 (.545) while recording eight assists in the first quarter. The Memphis defense forced Phoenix into nine turnovers in the opening frame. Memphis went on a 20-3 run over 5:12 during the first and second quarters to lead by as much as 24 in the half, taking a 68-43 lead into halftime. It was the team’s largest halftime lead since March 3, 2013, when they led the Magic 60-35. The Grizzlies bench scored 36 points on 15-of-18 shooting in the half. Marc Gasol dropped 12 first-half points, including a buzzer-beating three-pointer from 27 feet out. Memphis shot 27-for-44 (.614) from the floor, including going 7-for-13 (.538) from three-point range in the first half. The Suns shot a solid 17-of-35 (.486), but only went 3-of-12 (.250) from long range before the break. Deandre Ayton, the first pick in the 2018 NBA Draft, scored 14 points in the half on a perfect 7-for-7 for Phoenix. 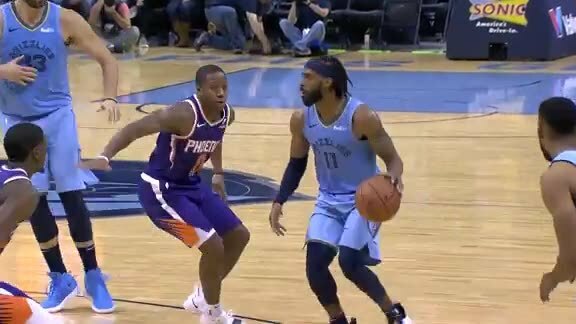 The Grizzlies scored 42 points in the second quarter, tying the franchise record for points in any second period, which was last accomplished in a home game against the Suns earlier this year (Jan. 28, 2018). The Memphis defense held Phoenix to just 6-of-21 (.285) from three in the second half. The Grizzlies went an accurate 13-of-14 from the free throw line in the second half. Yuta Watanabe checked into the game with 4:31 remaining, becoming the second Japanese-born player in NBA history to play in a regular season game, and knocked down a pair of free throws with 1:36 left to register his first career points. 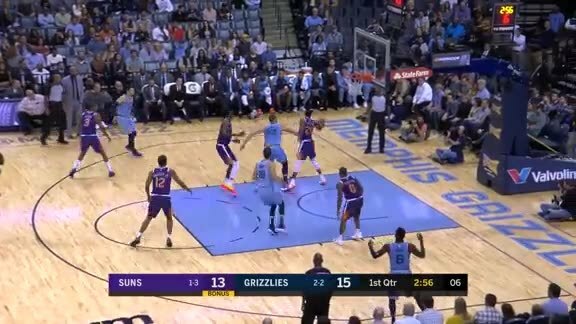 The Grizzlies converted 19 Suns turnovers into 29 points, while the Suns only forced 12 turnovers, scoring 12 points off the miscues. Memphis finished shooting 44-of-79 (.557) from the floor, compared to Phoenix going 36-of-78 (.462). The Grizzlies bench outscored the Suns 57-40 while shooting 23-of-35 (.628). Memphis scored 18 fast break points, while Phoenix had just six. The Grizzlies had 30 assists, coming from 11 different players. Marc Gasol led the Grizzlies with 19 points, and had a team-high eight rebounds. Mike Conley scored 18 and handed out a game-high seven assists. MarShon Brooks also had 18 points on 7-of-9 shooting. Garrett Temple added 15 points and was a perfect 6-for-6 at the free throw line. Wayne Selden Jr. finished with 14 points off the bench, shooting a perfect 4-for-4 (1-1 3PT) in the first half. Deandre Ayton led all scorers with 24 points on 12-13 shooting and grabbed eight boards. Elie Okobo added 12 points. Isaiah Canaan and Jamal Crawford each scored 11. The Grizzlies will host the Washington Wizards on Tuesday, October 30 at FedExForum at 7 p.m. CT. Tune in to FOX Sports Southeast presented by Pinnacle Financial Partners or listen on 92.9 FM ESPN to follow the action. We want to be a versatile offensive team where you can’t key in on one or two guys to shut us down. It’s good to see a bunch of guys get double-figure points. That means we’re sharing the ball well, that we’re moving and doing all the little things well that we preach. I think they were awesome. I think as we go through this process of finding a rhythm and the right units that play well together, it’s great to have guys that come off the bench and complement each other. They did a great job defensively, but were also able to score the ball. Wayne [Selden Jr.] did a really good job, Dillon [Brooks] did a good job, [Omri] Casspi and them, then Shelvin [Mack] is always steady, that corrals everybody together. But I think we’re seeing growth there with guys that compete and execute what we’re trying to get done. It means a lot to me. The NBA has been my dream since I was a little kid and that was a great opportunity. I had fun. I enjoyed it even though it was only four minutes. That was great. He had a lot of lay ups. He has a nice face-up game when he gets confidence. He plays low. He played with force. He is very talented and has great size. He is unselfish and read the game well from the elbow. He has a lot of tools and I like him. Good, especially defensively. That’s what I like to see. When we play at that level, our offense goes to a different level because it is tied together. It’s just like when your selfish defensively, you’re going to be selfish offensively. It’s all tied together. So that’s a good sign. We have to be consistently growing and do more of what we do well and not be afraid to get in the paint. We can do both. Guys here are really athletic and long so you can be in the paint and take things away. Then they can force a skid pass that is not a straight, strong pass and then get there on the second side, then the defense shifts, and we move it up again. It sounds boring it’s a difference. Marc Gasol led the Grizzlies with 19 points and had a team-high eight rebounds. 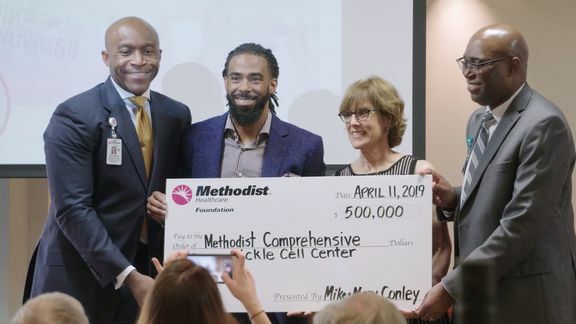 Mike Conley scored 18 and handed out a game-high seven assists. MarShon Brooks came off the bench to also score 18 points on 7-of-9 shooting. 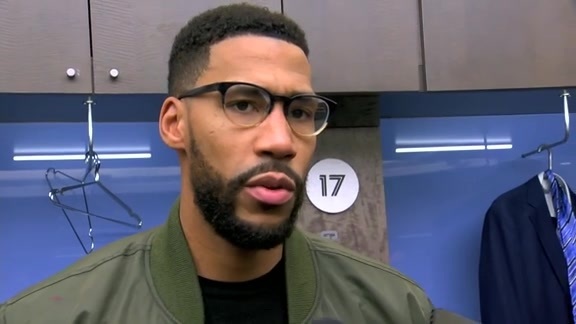 Garrett Temple had 15 points and was 6-for-6 at the free throw line. Wayne Selden Jr. scored 14 points, going 4-for-4 (1-1 3PT) in the first half. Yuta Watanabe checked into the game with 4:31 remaining, becoming the second Japanese-born player in league history to appear in a regular season game (Yuta Tabuse for Phoenix in 2004-05). Memphis shot 44-79 (.557) from the floor, while Phoenix was 36-78 (.462). The Grizzlies’ bench scored 36 points on 15-of-18 shooting in the first half, and finished with 57 points on 23-of-35 shooting (.628).